Explore the sweet and colourful world of Candy Crush in this fun candy switcher. Explore the sweet and colourful world of Candy Crush in this fun candy switcher, where you can mix and match sweets in a combination of three or more, to gain points and other bonuses as you progress! Start your game on Facebook or mobile and seamlessly continue your saga between platforms. Just start playing at Facebook for free now! Free Game features: - Tasty graphics that will leave you hungry for more; - Easy and fun to play, but a challenge to fully master; - Over 400 sweet levels; - Leaderboards for you and your friends; - Items to unlock by completing levels; - Boosters and charms to help with those challenging levels. 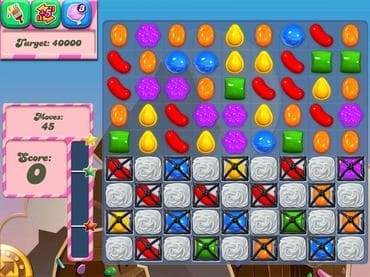 Если у Вас есть вопросы, связанные с игрой Candy Crush Saga пожалуйста используйте эту форму для связи с нами.